Go here for the original post about buying vs. building cost comparison. For those of you who love Square Foot Gardening, or at least prefer to grow in raised garden beds, I have good news for you! There are more and more options when it comes to purchasing raised or square foot garden beds. Honestly, it’s VERY difficult to do an “apples to apples” comparison, but I’m going to try! I have found several online sources to purchase garden beds. *pickup in Pleasant Grove, UT. Delivery available to Utah and Salt Lake counties for an additional fee. Many of these sites offers different sizes and raised garden beds made from other materials–those listed are just for comparison. Only the Square Foot Gardening and Home Gardens To Go sites provide grids for square foot gardening. If you choose to get your garden beds from another source, you can still buy grids from these websites. Karee Lane Gardens is the only I found that offers a 16.5″ garden (using 3 rails). Home Gardens To Go offers the widest variety of colors. The Square Foot Gardening store has improved the construction of their beds so they stay together better. The Easy Garden Box is the only bed made with a combination of vinyl posts and steel rails. If you are interested in minimizing the amount of vinyl (to avoid using PVC plastics), but still want a garden that will last longer than wood, this is a good option. In his book, Mel Bartholemew suggests 6″ is enough soil. This has not been my experience. So I suggest a minimum of 10″, or even 12-15″ if you can swing it. You can buy kits at Costco and Sam’s club, maybe even Wal-Mart. But since it’s fall you won’t find much right now. Instead you’d have to buy a kit online or build your own. Home Depot or Lowes probably have all you need to make one, but it’s not an easy project. If you have a handy man or woman around the house, go for it! How do I know if I need a 5 inch deep or 10 inch deep bed? I am interested most in tomato plants. Also, at Home Depot is there a kit or am I going to the different areas buying the pieces to assemble? Check out greenlandgardener.com raised boxes. Sams Club sells them at $52 shipping included. Made in the USA with recyled materials. Stackable, but the clips are not included with the Sams Club boxes. Connectors clips are free from the Greenlanders web site. I have set up six stacked units and ran duct tape on the inside stacked joints so the watered soil would not run down the outside of the box. No tools needed and they look great. Finally. . . I am on Facebook! What should be an easy process took me several attempts, several plug ins, and several days. Whew! Emily, thanks for doing a comparison of these products! I have to agree with Michelle, I initially gulped at the price. But you’re right, that if you aren’t handy or have a handy spouse, this really would be the next best thing. In my head, I just quickly compare the cost of prefab boxes to the cost of materials for building my own, but I’m definitely not taking into consideration the time and effort involved in driving to the store, picking up lumber, and building the boxes – maybe because my boyfriend does most of the building, and I think his labor is “free”! I called 3 nurseries for prices–they did vary a little by nursery. I found at least 3 in northern Utah or southern Salt Lake county who carried them. I just went down the list from the website. I got mine directly from the manufacturer–they gave it to me so I could try it and review it. I do want to say that did not influence my review of the product, and I tried to be really fair by providing an “apples to apples” comparison with similar products, including features and pricing. This is one of the higher priced boxes, but from my experience (I have had 6″ vinyl beds, 12″ vinyl beds, and built 10″ wood beds), this is by far the sturdiest option. It’s so simple to put together, and I think will last longer than wood or plain vinyl boxes. So, it is an investment in your garden, and only you can decide if it’s worth the money. There is another post about building vs buying–for some folks who are not handy and don’t have handy spouses, buying is the best and easiest option. Wow, thanks for all of this info. I am really interested in the Easy Garden Box, but I’ll have to think over the price. Which nursery did you get yours from? great post – thank you! Are you on facebook yet? A lot of my photography and photo retouching students have mentioned they’d like to learn to garden and I’d like to do a SHARE on facebook but didn’t know if you have a garden page yet. Let me know – thanks! I think you should add a note in the article that there are some great do-it-yourself options too, and they aren’t necessarily any more time consuming than these kits. I have detailed directions on my blog for example: http://tomalphin.com/2010/01/modular-raised-bed-system-for-square-foot-gardening.html They use cedar boards and last many seasons without maintenance. They are also inexpensive to make. You should check out this site. 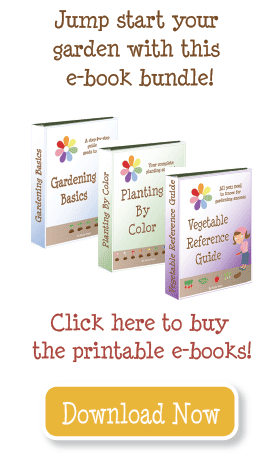 She gives instructions to build some raised beds out of cedar for a lot cheaper! Not too hard either. The rest of the site is pretty cool too.